WASHINGTON — The Treasury Department announced Friday that it is expanding again the relief it grants taxpayers who had too little in income taxes withheld from their paychecks in the first year of a sweeping tax overhaul. Treasury said that taxpayers will be able to avoid penalties for paying too little in taxes as long as they paid at least 80 percent of what they owed the government. That represents a reduction from the regular threshold to avoid penalties of paying 90 percent of what is owed. Treasury had earlier this year reduced the normal 90 percent threshold to 85 percent. In a statement, Treasury Secretary Steven Mnuchin said his department was making the move "to help those who attempted in good faith to meet their withholding obligations." Mnuchin had been urged by a number of lawmakers during appearances before Congress last week to make the move. Before this filing season, taxpayers could avoid penalties for underpayment if they had paid 90 percent of the taxes owed for the current year. In January, the IRS lowered that 90 percent threshold to 85 percent in an effort to deal with issues raised by the transition to the tax cut law approved by Congress in December 2017. Treasury has said that around 80 percent of taxpayers will see a decrease in their tax bill this year, while about 15 percent will owe roughly the same amount. Fewer people are expected to receive a refund this year. Officials point out that doesn't reflect rising or falling tax liability. There has been confusion around the size of refunds, which have varied more than usual this year because of the new Republican-written tax law. After showing declines earlier in the filing season, the average size of refunds now is about the same as last year at $2,957, according to IRS data. Democratic lawmakers had sharply criticized the Trump administration for under-withholding from workers' paychecks, suggesting officials may have schemed to inflate paychecks with the new withholding tables for the tax law — bringing negative surprises in refunds this spring. The Democrats endorsed Friday's move by Treasury. "The Trump administration is taking a step to undo the harm the Republican tax law inflicted on millions of families whose taxes were under-withheld through no fault of their own," Sen. Ron Wyden of Oregon, senior Democrat on the Senate Finance Committee, said in a statement. Rep. Judy Chu, D-Calif., and Sen. Kirsten Gillibrand, D-N.Y., had proposed legislation to reduce the penalty threshold to 80 percent. 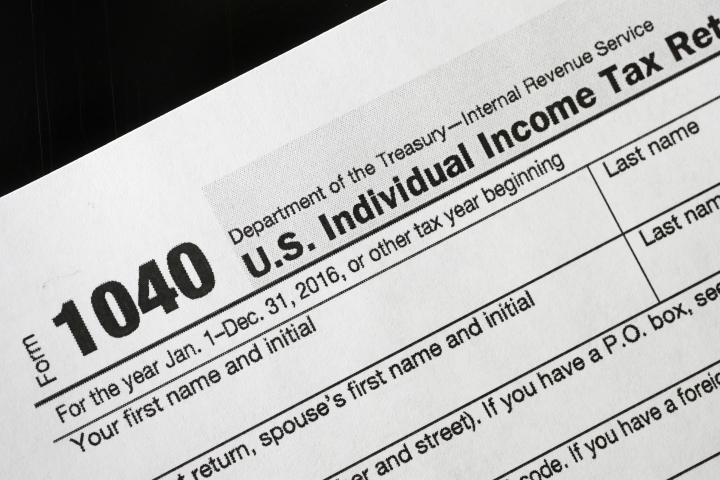 "As tax filing season is in full swing, Treasury's action will relieve the financial anxiety facing worried taxpayers across the country," Chu said Friday. Democrats had uniformly opposed the tax law, which was pushed by President Donald Trump and hustled through Congress in late 2017 to take effect on Jan. 1, 2018. They maintained the sweeping overhaul of the tax code benefits mostly big corporations and the rich.